On 1 April 2008, Boeing 747-4HAF(ER) c/n 35237 l/n 1402 VP-BIM flew first. 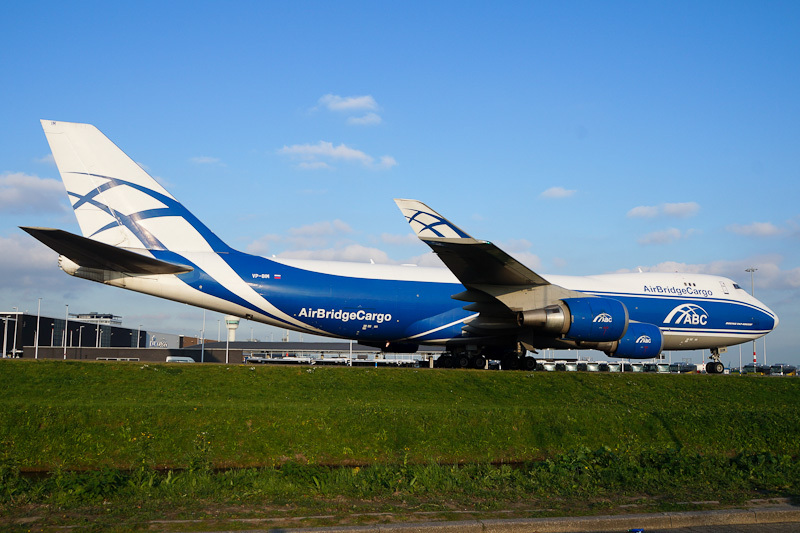 The airliner was delivered as VP-BIM to AirBridgeCargo on 10 April 2008. However AirBridgeCargo is based at Moscow - Sheremetyevo, the aircraft was not registered in Russia but, due to the lower taxes, in Bermuda. On 29 October 2015, Boeing 747-4HAF(ER) VP-BIM came in at Amsterdam Airport Schiphol from Sheremetyevo under flight# RU423. The cargoliner was seen on its way to one of the cargo platforms.